According to Alexander Haddow in "The History and Structure of Ceol Mor" few castles in Scotland can boast such a wild history. It has a very sheltered, almost landlocked little harbour, a rare thing in an area of turbulent waters. The tune was apparently composed to commemorate the siege and consequent abandonment of the castle owned by the MacDonald's of Islay. The MacDonalds were quickly able to go out and harry any invader through the famous iron gate which was in fact a water gate. They would then quickly withdraw behind the locked sea gate. However they eventually abandoned the castle when the Campbells of Argyll cut off the lead water pipe which fed water into the castle, thus driving the occupants to surrender through thirst. It appears in the manuscripts of Angus MacKay, D S MacDonald, Duncan Campbell and Skinner. 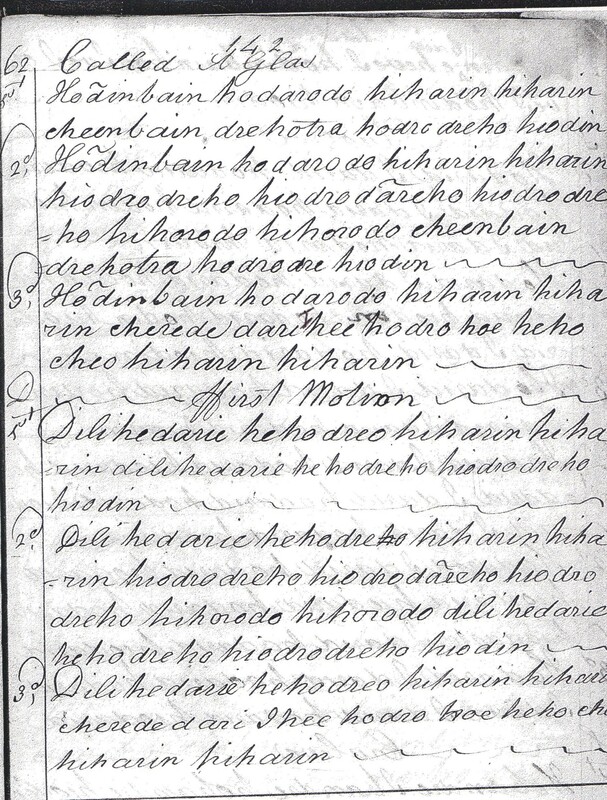 There is a version containing only Urlar and doubling in the Campbell Canntaireachd.